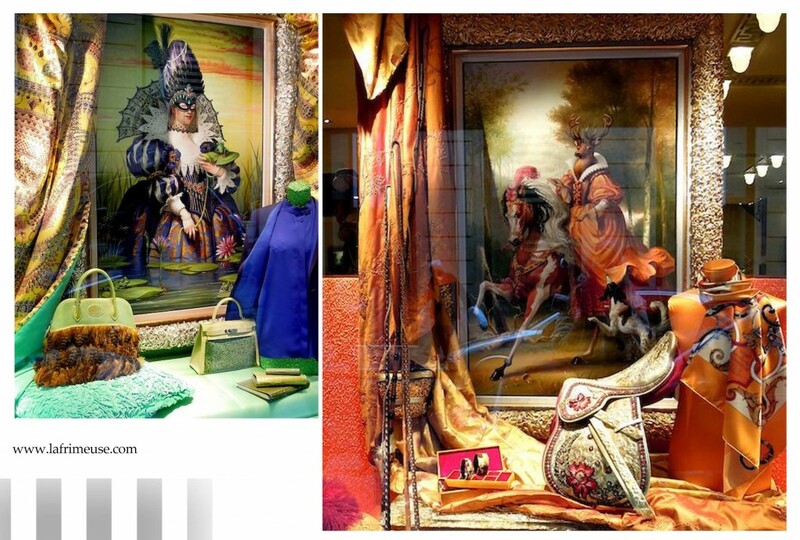 Window display is a special world that was originally created to attract the public to the stores, but at some point, it outgrew its utilitarian task and became really hypnotising, mysterious, funny sometimes mystical, calling us to look beyond the glass. 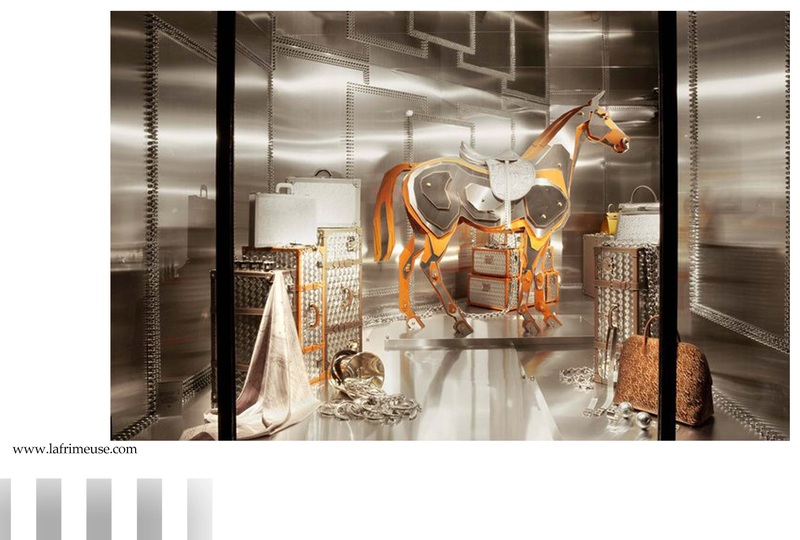 The real art installations, with unique elements are the Hermès showcases. The history of the creation of their creation begins at the end of the 20th century and continues to this day. Almost 100 years, each season, these art objects succeed each other. No element is repeated in the following scenery and none of theese items is not commercially available. Only three art directors stand behind this splendor. Annie Beaumel (years of work 1927-1978) began her career in Hermès as a designer of gloves, gradually transforming into one of the greatest storefront designers. 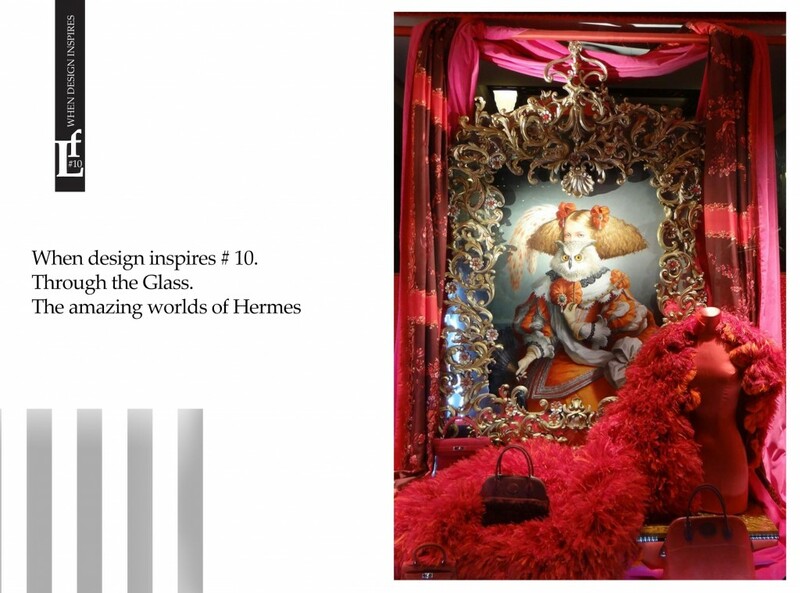 Leila Menchari (years 1978-2014) came to Hermès and according her words, in the most fabulous trap of her life. 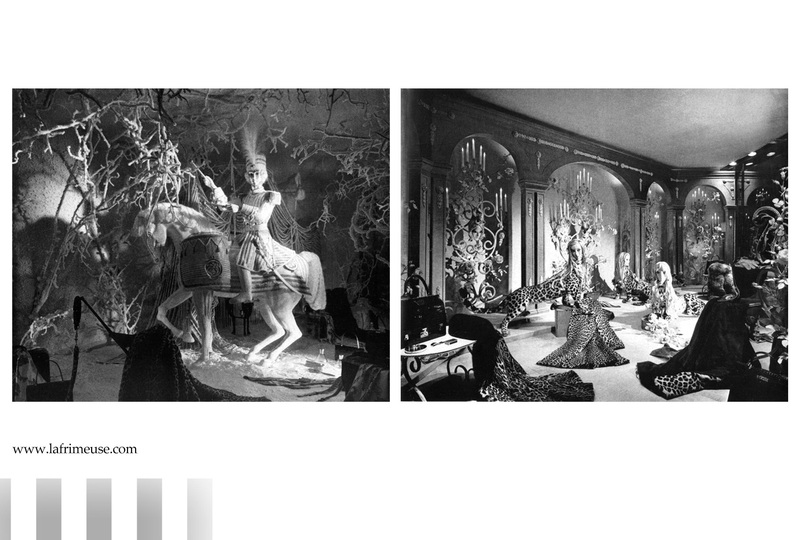 Anna Bomel, who hired the new designer, looked at Menshary’s drawings and said “Follow your fantasies” and for the next 36 years Leila became the permanent art director of showcases. 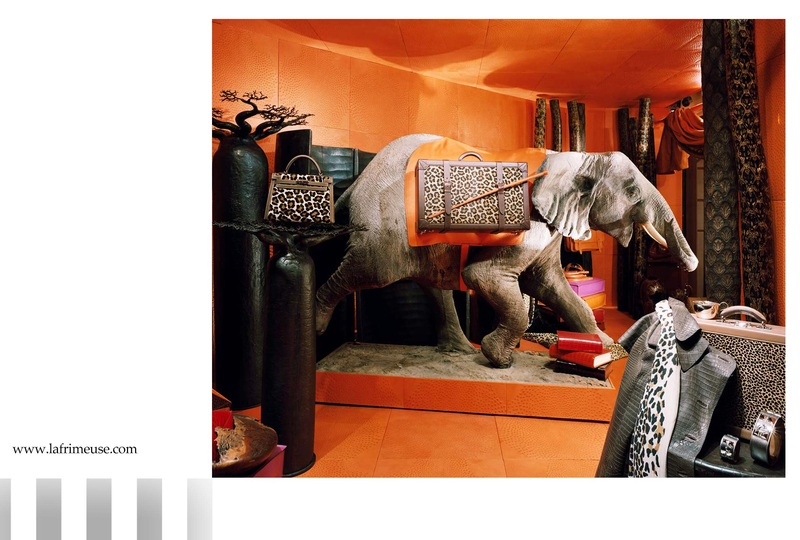 She felt like Hermès had become her family. This year, an exhibition dedicated to her work has opened. 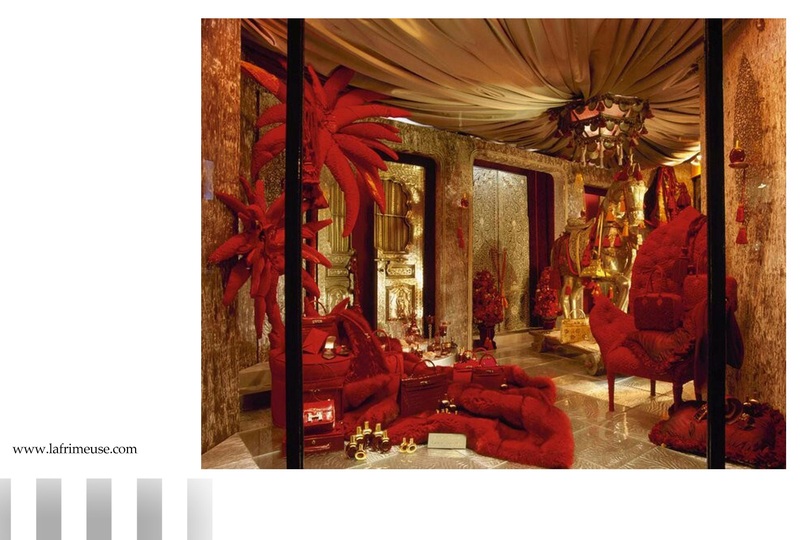 There are the grandiose re-created eight of its installations of different years, eight worlds of an amazing designer. 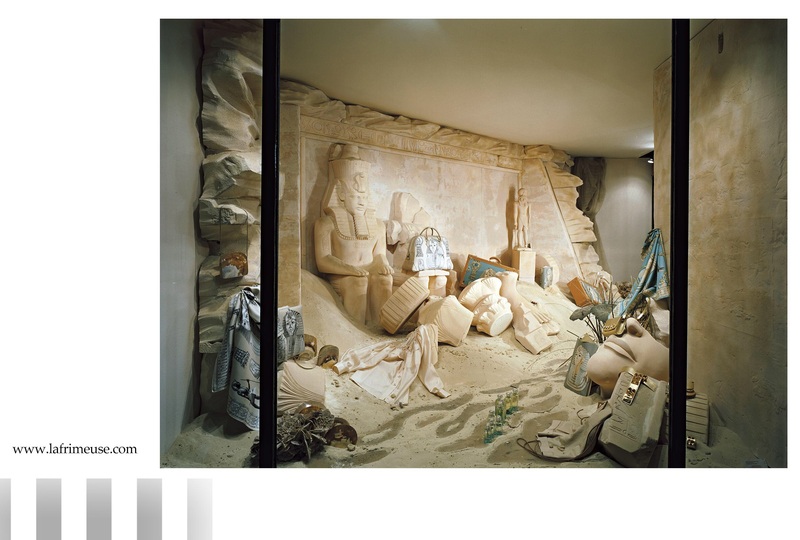 “A window display is a way to tell a story, and there are the means for narration is a lot.The huge window is like a theater in which I have to find a screen to tell this story.I created a theater, studying at the Academy of Fine Arts and adored it.” – Leila Menchari remembers. “But this theater is a more complicated thing, there is no text, no movement, no enough distance, you have to be everything: a designer, an artist, a composer, a director … I once did a simple thing in which there was almost nothing: the beach, sculpture of a reef of white marble, reminiscent of a wave, a pair of sunglasses and a swimsuit, and I had Eau d’Orange Verte’s scented water, which was sprayed straight into the street.The initial reaction of Jean Louis Dumas (the owner of the house of Hermès) was such that he was only at a loss said: “Leila, there is nothing here.” Then he saw as one woman breathes in the fragrance and told her “Breathe in, madam, breathe, this he drew the attention of those passing to my story. Soon a crowd formed. The key was in the ability to evoke things that people liked, expressing them in different ways. 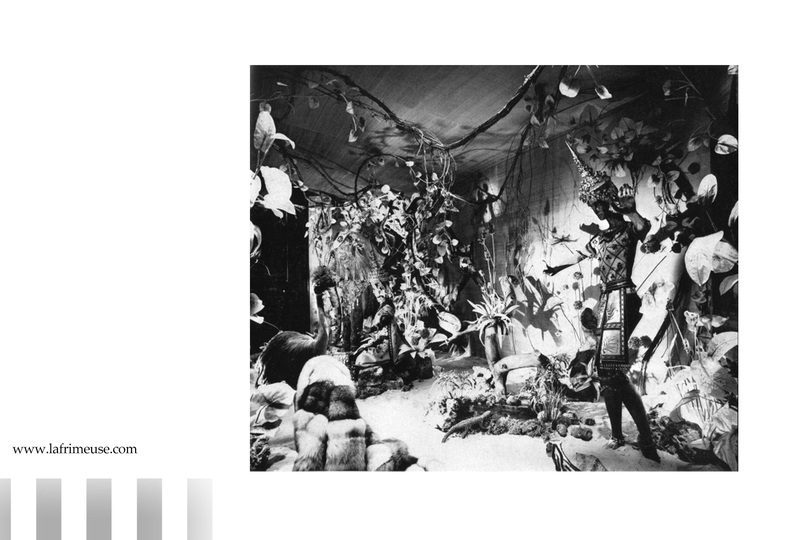 The third art director, Antoine Platteau, before his working in Hermes was a theater artist. His style of work is close to his predecessor. 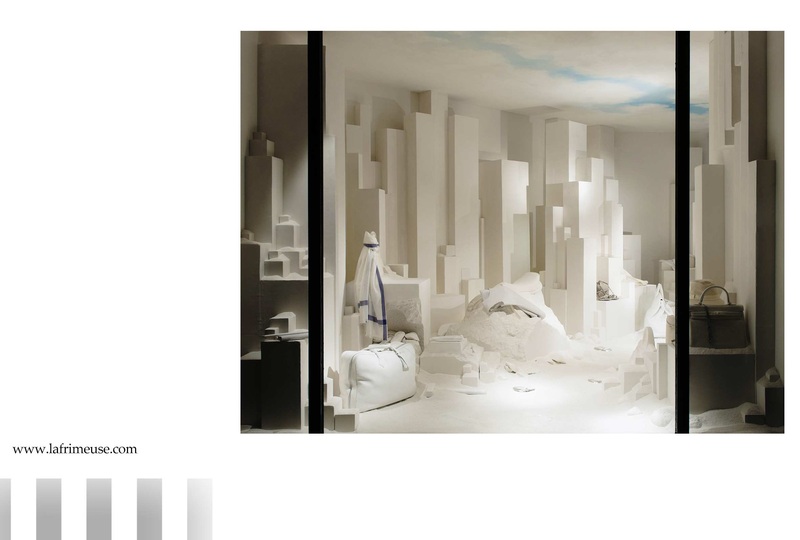 Showcases for him are three-dimensional pictures, in which the main thing is not the objects themselves, but the ideas behind them. 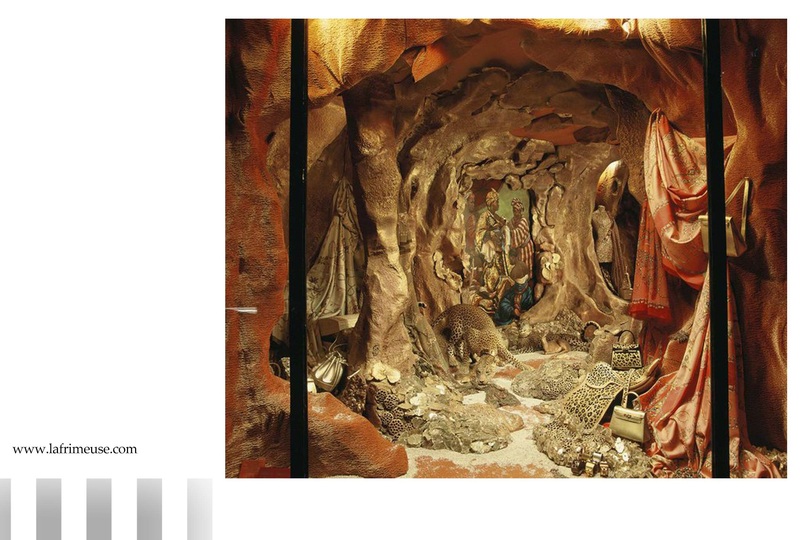 The invented world of Hermes showcases is fascinating. It’s like dreams or those fairy-tale images that we paint ourselves in childhood. 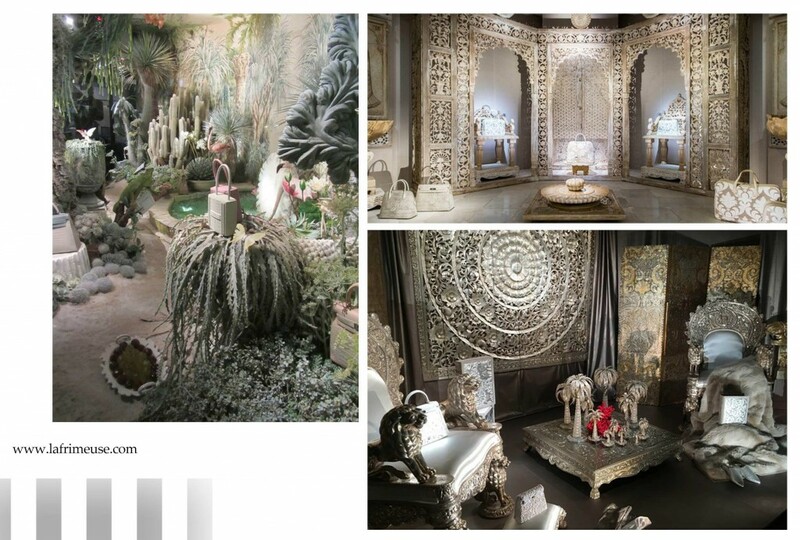 Fantasies carried out by designers with complete freedom, oriental splendor, absolutely surreal installations or calling perspectives of geometric figures cause in us an acute desire to look beyond reality and magic.